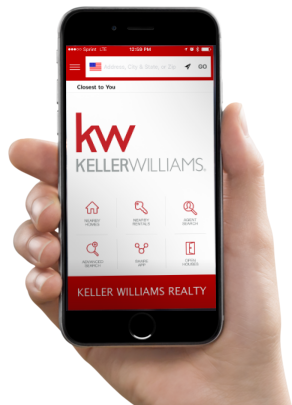 your home search to the next level. Top Selling Keller Williams Group in the Greater Sarasota Area. The Zarghami Group is a dynamic real estate sales and marketing company covering the Sarasota/Bradenton, Florida area. As a local real estate company housing some of the top agents in the Sarasota/Bradenton area, the Zarghami Group is committed to providing the absolute highest level of service and proven results for their clients. Located in central Sarasota, servicing all of Sarasota and Manatee counties, including residential real estate in Sarasota, Bradenton, Venice, Osprey, Nokomis, North Port, Lakewood Ranch, Parrish and all of the area keys (Longboat Key, Lido Key, Bird Key, Siesta Key and Casey Key), ZarghamiGroup.com is the destination to begin your home search. As the most comprehensive real estate resource in Sarasota, FL, our website allows you to search for homes or condos for sale near you and trust our experienced and professional real estate agents to guide you in your new home purchase. Whether your're a Florida native or snowbird, seeking a rental property or investment home, or relocating to the sunny white sand beaches of the Florida Gulf coast, the Zarghami Group are your Realtors® of choice. Looking to sell your home fast and for top dollar? With a team of dedicated listing and marketing specialists, the Zarghami Group is the real estate company that will get your home sold. Here to make your Sarasota/Bradenton area real estate purchase or sale easy and enjoyable, the Zarghami Group is committed to providing first-class service, expert guidance and unwavering dependability. As the authority on area real estate trends, the Zarghami Group publishes and distributes a quarterly Sarasota real estate market analysis, the Zarghami Report, providing a localized area analysis specific to the Sarasota Keys, West Sarasota (Downtown and West of the Trail), Central Sarasota (Between US-41/Tamiami Trail and I-75), East Sarasota (Including Lakewood Ranch) and the Luxury real estate market. Toni recently sold my parent’s condo for me in Sarasota, FL. I was a bit apprehensive selling a property from across the country but Toni and her team did a fantastic job. From the moment I spoke to her on the phone I knew that I was in good hands and she did not disappoint. Toni and her team took care of everything. It was a wonderful experience and I would not hesitate to ask for her help in the future. I have been working with realtors most of my adult life buying properties in Atlanta, Memphis, New York City, Bradenton and Sarasota. I found the Zarghami Group to be knowledgeable, responsive and a real pleasure to work with. I trust their judgement and their commitment to find me the right properties and be willing to negotiate for the right price. Thank you, David and Toni! Toni listed and sold our home quickly, and at the asking price. She consulted us on how to prep our home for showings. The home was listed on the market on a Friday and we had an offer that same day. From the initial consultation to closing, everything pretty much happened the way Toni said it would. I would recommend the Zarghami Group to anyone. They are very pleasant and honest to deal with, but most of all they acted and conducted themselves in a highly professional manner. I was working with, and dissatisfied with, a different agent when I met Chris at an open house he was holding. I switched agents and within three weeks Chris had found me a new home. He was a pleasure to work with and I have already recommended him to personal friends. My wife and I had the good fortune to work with Mona in search of a home in Sarasota. She worked diligently on our behalf, including finding a short-term property for us to lease, as we are from out of state. We recommend Mona to anyone buying or selling, as she is 100% in her honesty, professionalism, and dedication to get the job done. Thank you, Mona Refay!